The Side Effects that I mentioned in the last blog post are happening now. A nun shot four times at the Somali hospital where she worked forgave her killers as she lay dying, colleagues said Monday in the wake of her slaying, which has focused attention on Islamic radicalism in the Horn of Africa. Sister Leonella, 65, muttered the words "I forgive, I forgive" in Italian after being shot by gunmen Sunday, the Rev. Maloba Wesonga told The Associated Press at a memorial Mass for the nun in the Kenyan capital, Nairobi. Her killing was not a random attack and could have been sparked by remarks by Pope Benedict XVI about Muslims that have sparked angry reaction from Muslims around the world, said Willy Huber, regional head of the Austrian-funded hospital where Sister Leonella worked. 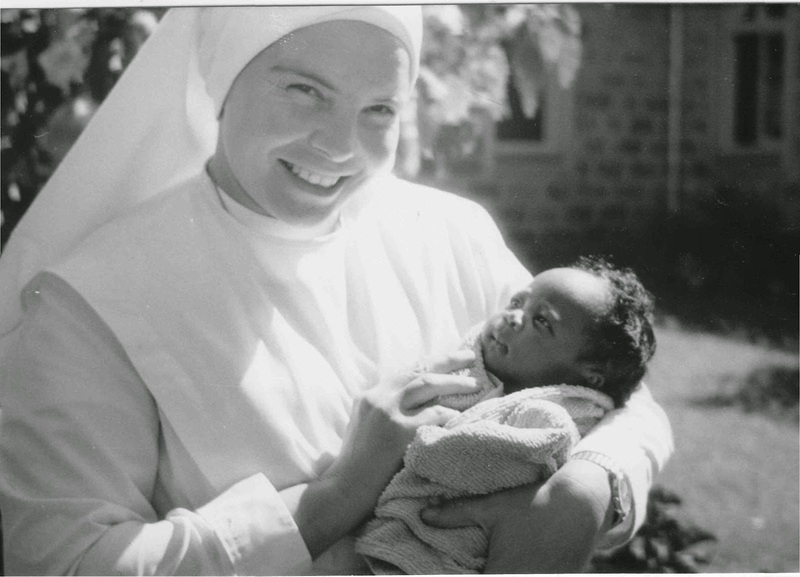 Sister Leonella, whose birth name was Rosa Sgorbati, had lived and worked in Kenya and Somalia for 38 years, her family said. She was shot as she left the S.O.S. hospital. Her bodyguard also was slain. The two had been walking the 30 feet from the Mogadishu hospital to the sister's home, where three other nuns were waiting to have lunch with her. "She had no chance," Huber added. "It was like an execution." Abdurahman Mohamed Farah, the deputy leader of the Supreme Islamic Courts Council, said the nun's killing was unrelated to the pope's speech, blaming it instead on Somali warlords who lost control of Mogadishu in June after intense fighting with the Islamic militia. "We will punish the culprits behind this nasty killing," he told journalists in the capital. One man has already been arrested. A powerful, radical Islamic group, which is accused of having ties to al-Qaida, has all but wrested control from the weak and factional Somali government. With it has come a hard-line Taliban-style rule complete with public floggings and executions. Its leaders have pledged to wage holy war against an African peacekeeping force that is supposed to arrive early next month to help stabilize the country. In recent months, the Islamic group has extended its control over much of southern Somalia, challenging the weak, U.N.-backed government that hasn't been able to exert any power outside Baidoa. The rise of the Islamic militants has coincided with a wave of killings of both foreign workers and moderate Somali intellectuals. Among them were Swedish journalist, Martin Adler, who was killed in June during a demonstration in Mogadishu and prominent Somali peace activist Abdulkadir Yahya Ali, who was slain a month later. BBC journalist Kate Peyton was shot to death last year. The United States has accused the Islamic group of sheltering suspects in the 1998 bombings of U.S. embassies in Kenya and Tanzania. Al-Qaida chief Osama bin Laden has portrayed Somalia as a battleground in his war on the U.S.
Matt Bryden, a regional analyst, said a renegade Islamic militia or warlords could be behind the killings, hoping to taint the image of the Islamic Courts. Sister Leonella was aware of the dangers in Somalia and used to joke that there was a bullet with her name engraved on it. "But this never deterred her or discouraged her," Wesonga, who is secretary of the Archdiocese of Nairobi, told the AP at the memorial service. 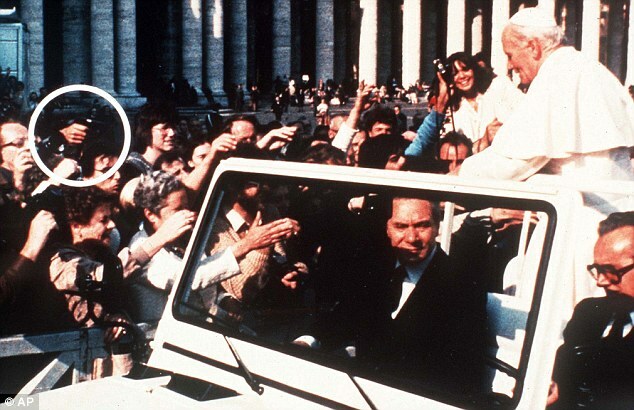 I am reminded of Pope John Paul the Second. He survived an assasination attempt by Mehmet Ali Agca, a Moslem extremist who was already responsible for the murder of a jounalist. 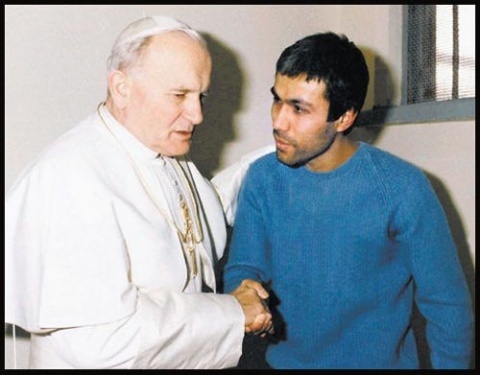 The Pope visited his assasin at the prison and forgave the man.